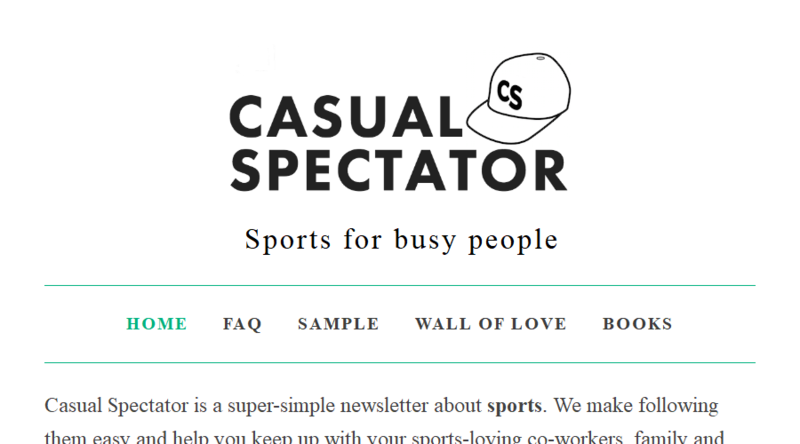 Casual Spectator is a super-simple newsletter about sports. It makes following them easy and helps you keep up with your sports-loving co-workers, family and friends. We send a daily email with the news stories you 'need 2 know', from politics and business to sports and entertainment. It's short and sweet with a little humor that will make you smile. All the news and information you need. All in 5 minutes or less.